Hailed by MTV as “Game music’s eclectic daredevil,” BAFTA nominated composer Olivier Derivière (‘Get Even’, ‘Remember Me’, ‘Assassin’s Creed IV – Freedom Cry’) has scored award-winning music for animation, films and video games and is widely acclaimed for both his sophisticated composition and innovative approaches to connecting music with gameplay. Derivière is driven by his passion to provide players with a unique musical experience that truly reflects each game, both musically and directly in sync with the gameplay itself. 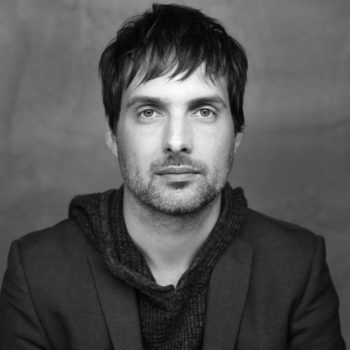 Classically trained Derivière often blends traditional musical elements with unorthodox sound techniques in pursuit of creating an authentic score that fully immerses the player in the gameplay and story through his neo-classical music styles. Recording with the world’s top orchestras and A-list musicians, including the Philharmonia Orchestra at Abbey Road and Air Studios, Derivière’s distinctive soundtracks have been recognized by Billboard and The New York Times as well as the International Film Music Critics Association for Best Original Score for a Video Game or Interactive Media. Most recently his pioneering real time generated interactive music score to ‘Get Even’ was nominated for a British Academy Award in 2018.